Hello Doodlebugs! It's Mendi here today sharing a playful layout using a fun sketch by Becky Fleck over at PageMaps and Doodlebug's happy Sunkissed collection. 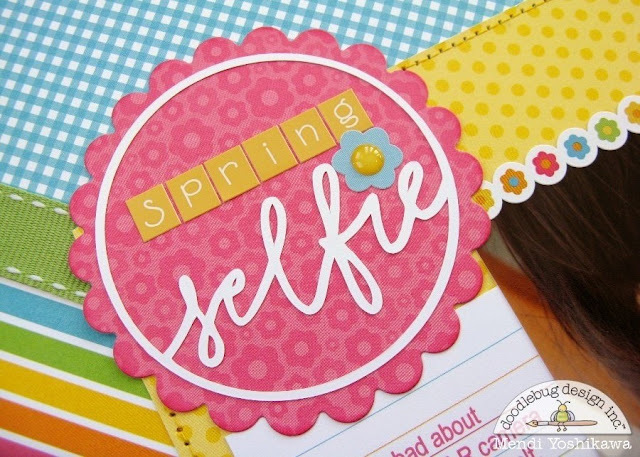 I chose to combine the two smaller photos into one larger 5" x 4" photo which led me to a great selfie my daughter took of herself on my camera last spring. To mimic the circle title in the sketch, I used THIS awesome "selfie" cutting file and welded it to a circle which I had offset to match the thickness of the word. 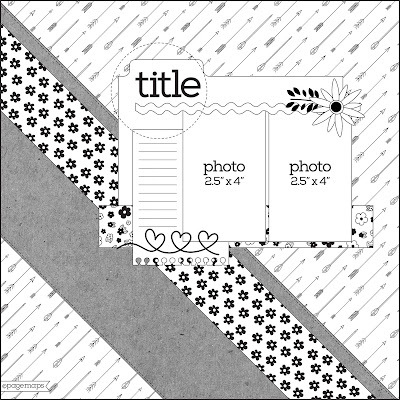 I then layered them on a scalloped circle and completed my title with Doodlebug's Teensy Type Alpha Stickers. 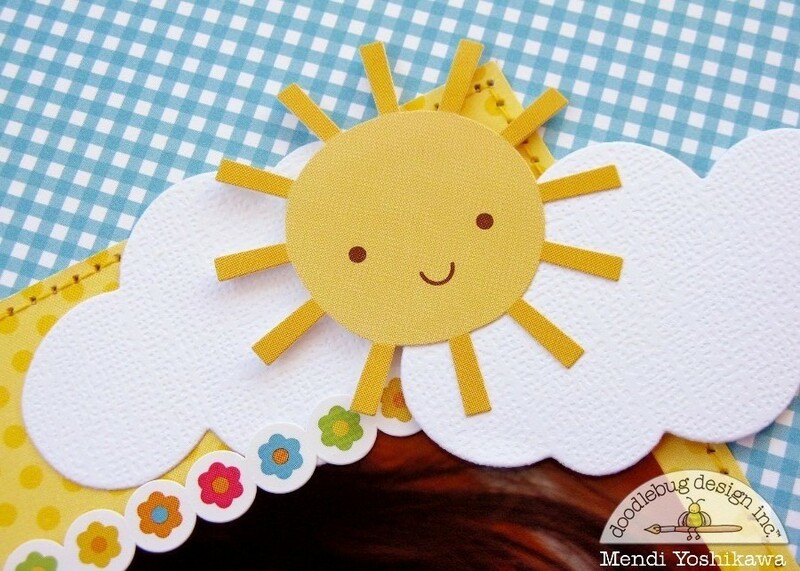 For the second point in my visual triangle I layered a couple clouds (from the new Doodlebug Sizzix dies) with a sunshine sticker from the icon sticker sheet. 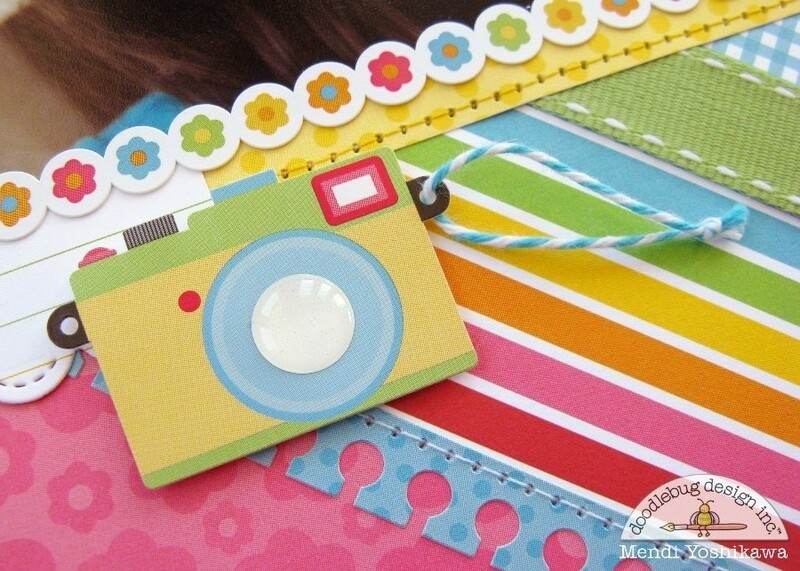 I completed my visual triangle with a camera sticker which I layered with a glitter sprinkle and tied with doodle twine. It felt like the perfect embellishment to tie in with my selfie theme so I was pretty excited to find it on that same icon sticker sheet! 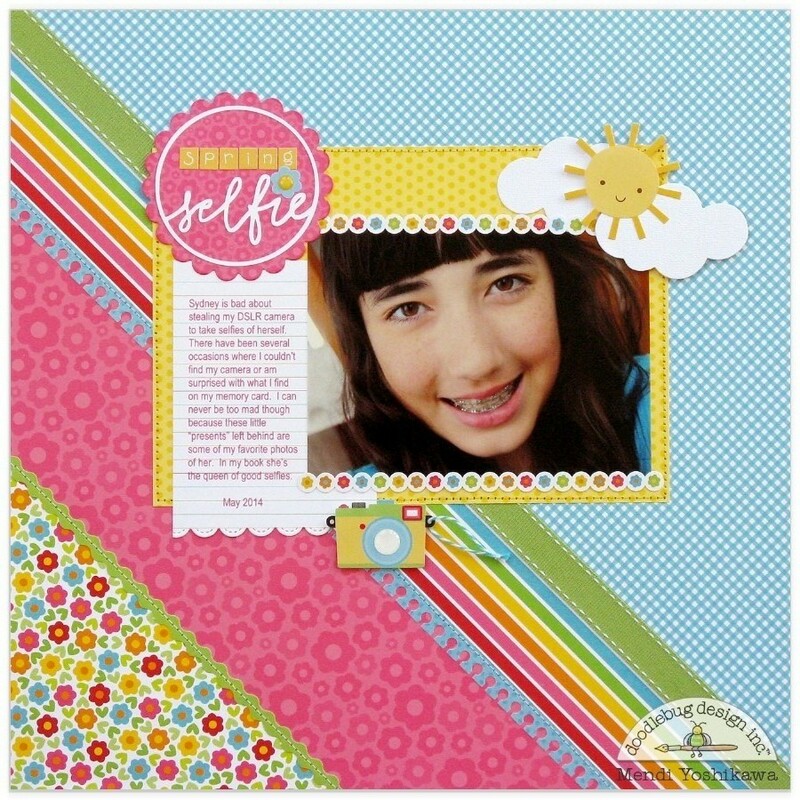 Such a fun layout, Mendi! Such a cool Page Map and Mendi did such a fantastic job with this!!! LOVE it!! !